Gscan2pdf, GTK tool to produce PDF / DjVu from scanned document, released version 2.3.0 a few hours ago. While v2.1.3 does not really fixed the issue that time is always set to 0 UTC. Gscan2pdf 2.3.0 fixed it by optionally also include time information in metadata of PDF or DjVU. Support different resolutions in x and y directions. The official Ubuntu PPA has made the new release packages for Ubuntu 16.04, Ubuntu 18.04, Ubuntu 18.10, and their derivatives. And the PPA can be removed via Software & Updates utility, under Other Software tab. 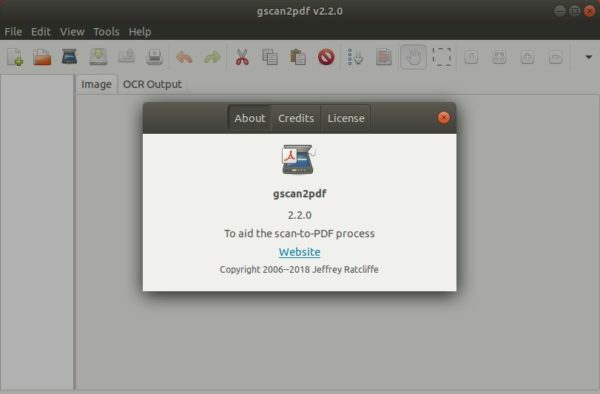 Gscan2pdf, GTK tool to produce PDF / DjVu from scanned document, released version 2.2.0 recently. 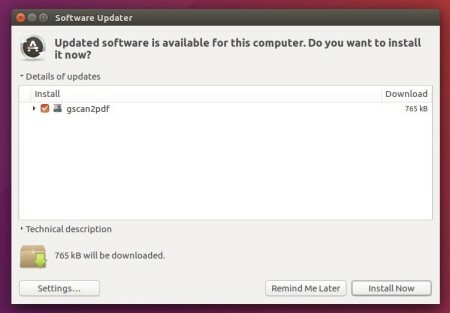 Here’s how to install it in Ubuntu 18.10, Ubuntu 18.04, and Ubuntu 16.04. Modify preference “Force new scan job between pages” to only take effect when scanning from flatbed. Fixed crash switching frontend option in Edit/Preferences between libimage-sane-perl and scanimage. Fixed visibility of scan widgets when switching from libimage-sane-perl to scanimage. Collect all warning and error messages in one dialog. Be more tolerant of errors whilst fetching options. Use default text if the title of a group of scan options is empty. Gscan2pdf 2.1.6, a GTK tool to produce PDF / DjVu from scanned document, was released today with few quick fixes. According to the changelog, Gscan2pdf 2.1.6 fixed the issue that application exits on pressing “Start OCR” for Tesseract. In the release, it also fixed opening UDT and unpaper dialog windows. Type your password (no asterisks feedback due to security reason) when it prompts and hit Enter. 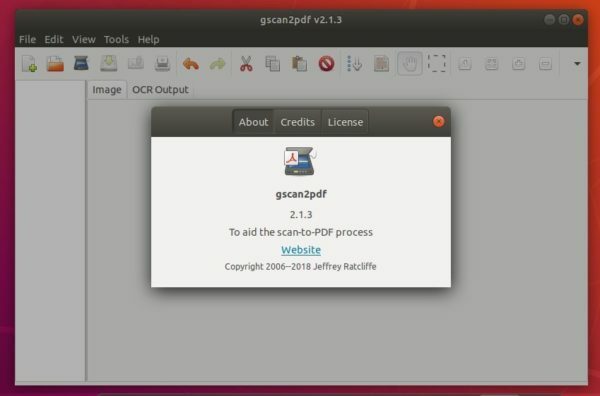 Gscan2pdf, a GTK tool to produce PDF / DjVu from scanned document, reached the 2.1.3 release a few days ago. Gscan2pdf 2.1.3 closed feature request “gscan2pdf always set the time to 0 UTC“, by optionally including timezone and time information in metadata of PDF or DjVU. Only run test if session file can be deserialised. This fixes t/175_open_session2.t fails on i686 machine. Don’t unnecessarily use tiffcp on single-page TIFFs. 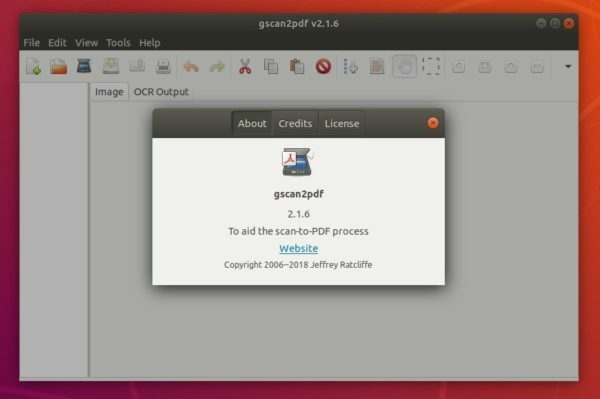 For Ubuntu 16.04, Ubuntu 18.04, and derivatives, gscan2pdf 2.1.3 can be easily installed via its official PPA repository. 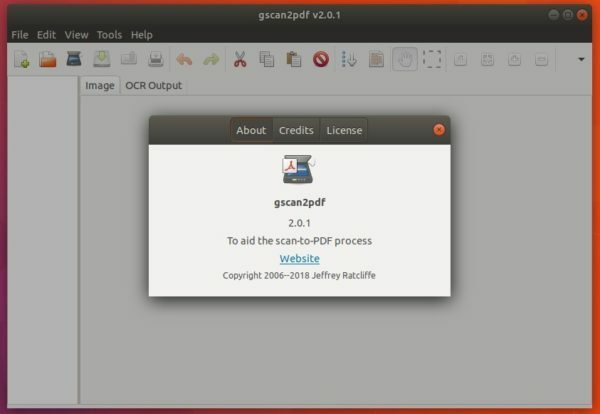 Gscan2pdf, a simple GUI tool to produce PDFs or DjVus from scanned documents, reached the 2.0 release a few days ago. The new release has switched from GTK+ 2 to GTK+ 3. Switch from gtk+-2 to gtk+-3, requiring the reimplementation of GtkImageview in pure Perl, as C library not compatible with gtk+-3. Fixed ghosting if flatbed only source option but not set. Fixed setting preferences if frontend not set to libsane-image-perl and no scanner available. 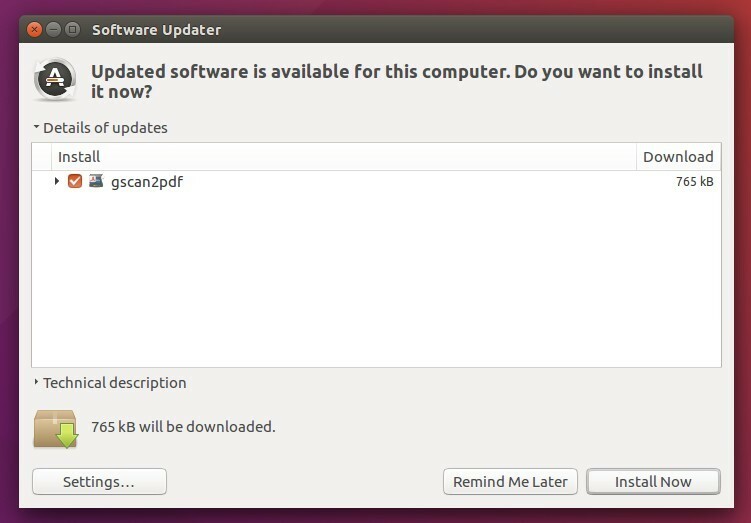 The developer’s PPA contains the new release packages for Ubuntu 18.04 so far. Ubuntu 16.04 and Ubuntu 17.10 packages are in process.